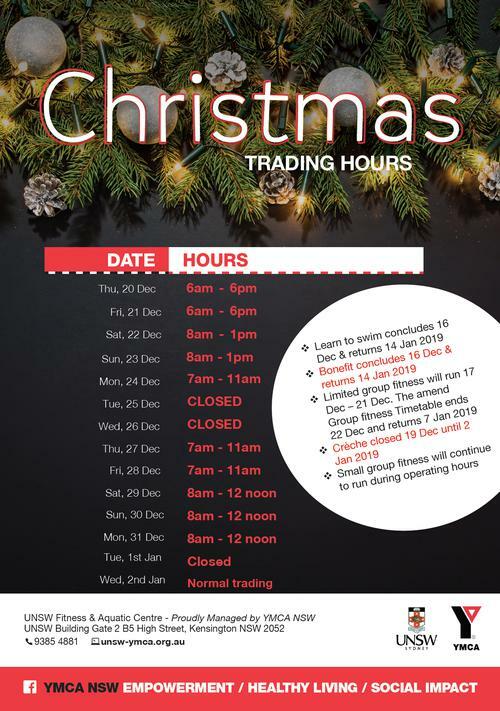 Please be aware that during the months of December and January, the centre wil operate on reduced trading hour. Be aware that some programs will not be running over this period and others will operate on a reduced timetable. Our learn to Swim program will conclude 16 December 2018 and return 14 January 2019. During this period we will have holiday programs available to book into. Click here to find out more. Bonefit will conclude on 16 December 2018 and return 14 January 2019. Limited Group Fitness classes will run 17-21 December. The amended timetable ends 22 December and returns 7 January 2019. Creche will be closed from 19 December 2018 until 2 January 2019. Small Group classes will continue to run during amended operating hours only. 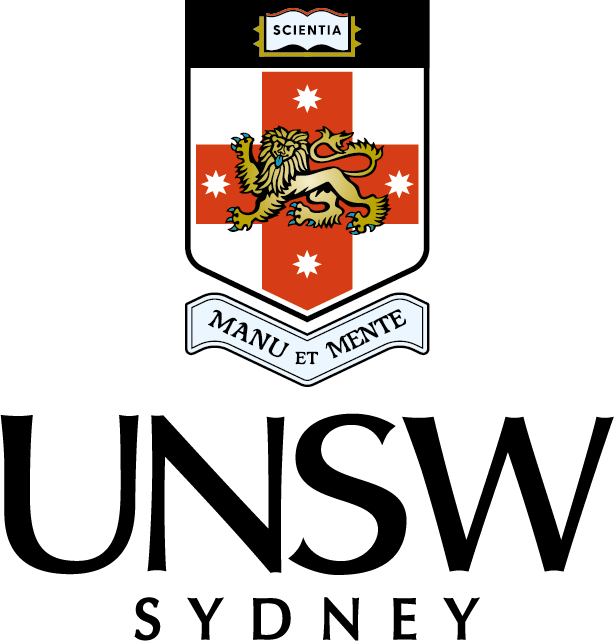 On behalf of the staff at UNSW Fitness & Aquatic Centre, we wish you a very happy and safe festive season!